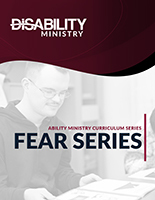 After years of doing disability ministry and consultation for churches the one constant heard was… “We can’t find enough good curriculum.” We’ve heard the requests from many and decided to put together an easy to use tested curriculum. 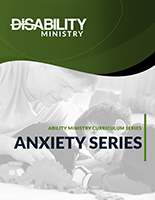 Our curriculum is created to help all people draw closer to God, equip them for works of service, and give them the tools necessary to deal with real-life everyday issues. 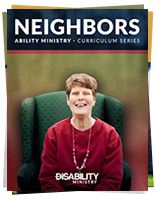 We understand that disability ministry church budgets are often small, if they exist at all. That is why we have decided to produce our curriculum in digital form only to keep costs down and to be able to make it available to you instantly. 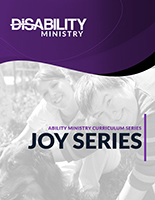 Each curriculum series that we produce will come with a Leader’s study guide and customizable Power Point presentations. Our presentations are well done and ready to be used with little preparation time. We do however recognize the fact that every group is unique. Your investment time in lesson preparation is up to you. You can take and reshape these lessons to fit your needs. The leader’s guide will give you additional questions to consider, optional object lessons, optional links to videos, and other resources. 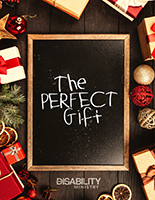 Each Power Point presentation includes a monthly memory verse, bible lesson, visuals & large print, multiple forms of group interaction, discussion questions, and prayer focus points. Support is available for you! 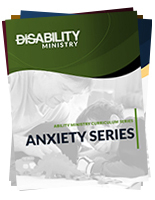 As an added feature for anyone who purchases our curriculum we will also offer FREE support. We can help you with any question that you may have. Ryan Wolfe, President, is the author of our curriculum and he would be glad to help you. 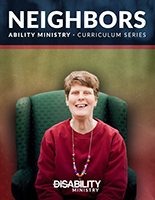 It is our prayer that this curriculum will bless you, your ministry, and all who use it. We pray that it would draw all people closer to God, equip them for works of service, and help them be better prepared to handle real-life issues. Being able to deal with our emotions is a tricky thing for anyone. 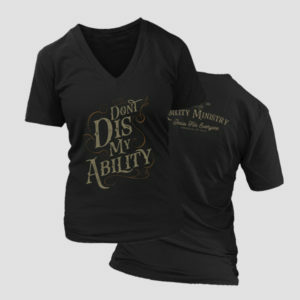 It doesn’t seem to matter if you have been labeled as abled or disabled. 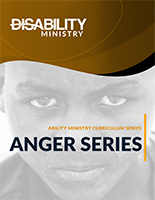 This series takes a very practical look at how to best handle the different emotions that life throws at you from a biblical perspective. 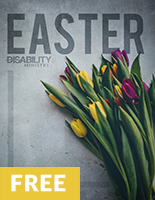 One of the biggest issues in the disability community is dealing with isolation. The fact of the matter is, everyone needs a good friend. 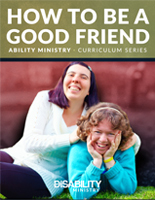 An everyone needs to know how to be a good friend. 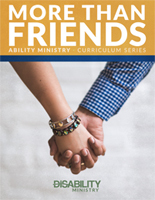 This series will take a progress look at who God wants us to be friendly with, how to be a good friend, and what it means to be “more than friends.” Yes, that is a series on romantic relationships. Don’t avoid the conversation just because it might be uncomfortable. 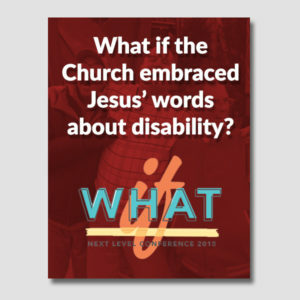 The Church cannot be silent on this topic because God is not silent on it. 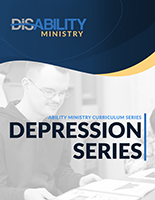 This pivotal series will give you the tools to equip your friends with how to overcome isolation when presented with opportunities for friendship. 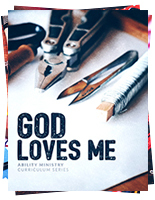 The God & Me Series is a three-part Series that studies our relationship with God. 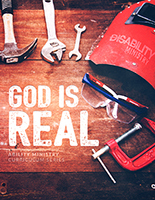 Part 1: “God is Real” looks at the evidence for God, what He is like, and the choice as to whether or not we will believe in Him. Believing that He is real is the first step in our relationship with Him. 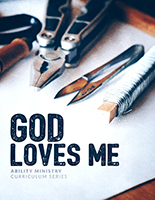 Part 2: “God Loves Us” uncovers just how crazy about us God is. He loves us so much that He sent His son Jesus to die for us. That is amazing. Our only response to His love is to love Him back. 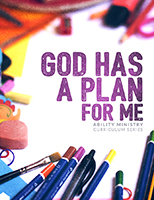 Part 3: “God has a Plan for Me” helps the learner realize that God has a purpose for them. Nothing that God creates is a mistake. God creates everything and everyone on purpose for a purpose. This is an incredibly empowering fact. So, what is your purpose? 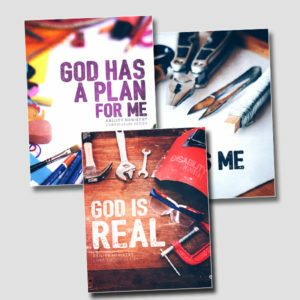 “God has a Plan for Me” will help to show you your purpose. .
Would you like to take a look inside some of the curriculum before you make the decision to purchase? Take a look at the video below, which gives you a better look inside our curriculum.